Students, Anglophiles, and literature hounds will want to delve into this delightful survey of foodways of a culture both ancient and cutting edge. Only in recent years have modern kitchen conveniences become taken for granted all over Britain. British cooking has also made tremendous strides lately, and the changes in shopping and food options, preparation, restaurant-going, and diet are detailed. The cooking traditions and classic dishes for which Britain is known are described as well, as they still help to define the people. 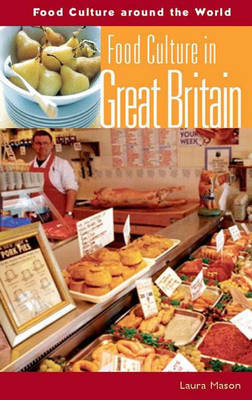 Commercialization and globalization are shown to characterize British foodways today. For instance, Britain's regionalism is eroding. Health and environmental issues such as bovine spongiform encephalopathy have come to the fore. Television cook shows are all the rage. Women working outside the home and the increase in single-parent households fuel the demand for quick and pre-prepared meals. The trends are well supported by statistics. A timeline, glossary, and resource guide enhance the narrative.